The Lion King has been wowing audiences at the Lyceum Theatre in London in 1999. In these twelve years the show has seen dozens of actors play the lead roles of Nala, Rafiki, Mufasa and the like, some of who have gone on to bigger things and have become well-known in the entertainment industry, and some of who were also quite well-known before they were cast in the show. So which past (and present!) cast members of The Lion King are known in the public eye outside of the world of Simba’s Pride lands? 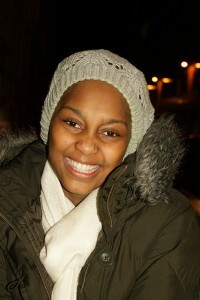 Javine Hylton played the role of Nala in The Lion King stage production for a period of two years. She is best known for representing the UK in the 2005 Eurovision Song Contest, beating model Katie Price for the honour. Originally seen on television for competing in Popstars: The Rivals in which she narrowly missed out on a place of joining Girls Aloud, Javine then went on to launch her own solo career which saw her achieve five top 20 UK singles. 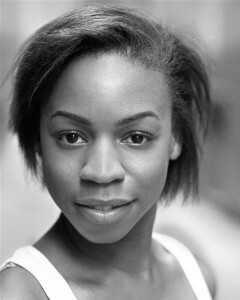 As one of the original young Nala’s in The Lion King when the show first opened in 1999, Pippa Bennett-Warner has since gone on to achieve acting success in the theatre in plays such as King Lear and has had a role in the TV show Come Fly With Me starring Matt Lucas and David Walliams. She currently is performing in Richard II at the Donmar Warehouse with Eddie Redmayne, star of recent blockbuster My Week with Marilyn. Read her recent interview with the Evening Standard here. The current Mufasa in the London production of the musical is Shaun Escoffery. Before joining the cast, Shaun had moderate chart success with songs Space Rider and Days Like This between 2001 and 2002, and has supported major artists such as Beverley Knight and Erykah Badu on their tours. In 2007, Shaun released his latest album, Move Into Soul which included covers of classic soul songs such as I Heard It Through The Grapevine. Since 2008 he has been playing the lead role of Simba’s father, Mufasa. Alexia Khadime played the role of Nala for four years from 2004 until 2008. Previously, she was the understudy for the role and had a minor pop career with the single Ring which charted at number 48 in the UK. Since leaving The Lion King, Alexia went on to perform in the lead role of Elphaba in the London production of Wicked, and she currently stars as Eponine is Les Miserables. Best known for playing the character Lola Griffin in the BBC’s medical drama Holby City, Sharon D. Clarke played the role of mandrill Rafiki in The Lion King from 2000-2002. Since then, she has starred in a host of theatre roles, including originating both Killer Queen in jukebox musical We Will Rock You and Oda Mae Brown in Ghost, which she currently plays. Outside of the theatre and television worlds, Sharon has received chart success as part of the group Nomad, selling over two million singles worldwide with the hit Just a Groove. These are just a selection of past cast members of The Lion King at the Lyceum Theatre who have gone on to build up their profile in the theatre, television and music worlds. Do you know of any others? If so, please leave a comment with the details in the box below!